Receive Exclusive Event Offers and Incentives Right on Your Phone! 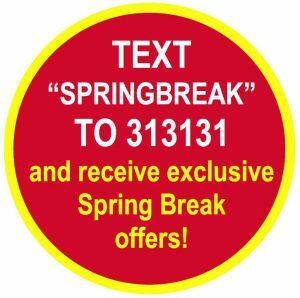 As a way of serving each spring breaker in the best way possible, the pcbeachspringbreak.com and Panamaniac programs are encouraging visitors to Panama City Beach to join the SMS Updates Program this March by texting either “VIPCARD” or “SPRINGBREAK” to 313131. This program will allow spring breakers to stay up to date on all Spring Break events and information. Coupons, event deals, and exclusive offers will be sent directly to students’ phones throughout their stay, not to mention daily reminders and other related spring break details. 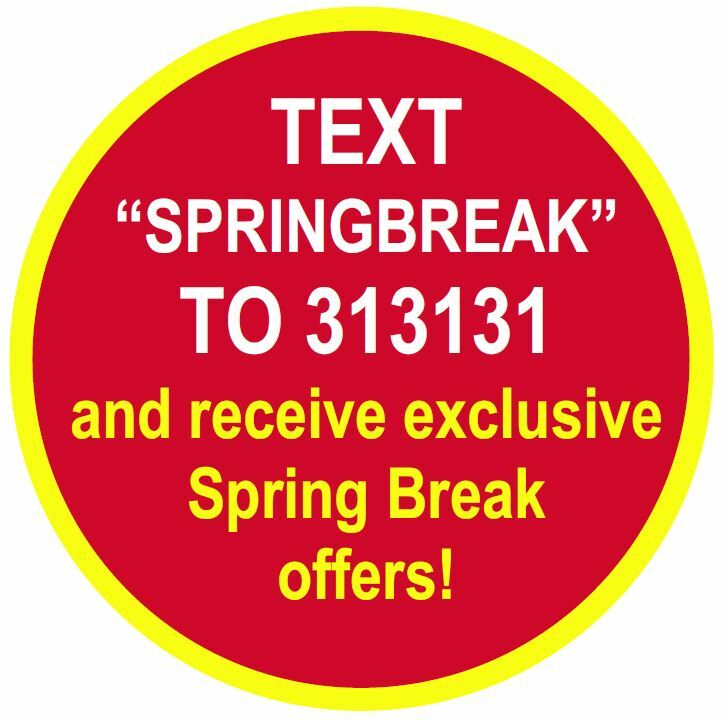 TEXT “VIPCARD”or “SPRINGBREAK” to 313131 to be set up for automated text alerts this Spring Break! For over 20 years, the Panamaniac Club Card program has been Spring Break’s number one events and party program and sells more VIP Club Cards than any other competitor combined. With incentives ranging from Free Cover charges, Discounts at local businesses and restaurants, a Free Souvenir T-Shirt, and Free Shuttle Ride service each night, there’s no denying the fact that this is the very best option when it comes to what to get when on Spring Break. Click here to pre-purchase your 2015 Panamaniac Club Card!